Lorqess (Lorcaserin) is a new treatment for obese and overweight patients, which has been licensed by the FDA in the US and is currently under consideration by the European Medicines Agency. Lorcaserin has been developed by Arena Pharmaceuticals. No product launch has taken place yet and the medication is not yet available to prescribe. Lorcaserin will be marketed in the US as Belviq and as Lorqess in Europe. How does Lorqess (Lorcaserin) work? Lorcaserin is the first member of a class of drugs called selective serotonin 2c receptor agonists. Lorcaserin stimulates the serotonin 2c receptor in the brain, including in the hypothalamus - the part of the brain that is associated with mood, appetite and metabolism. The outcome of this action in terms of manifestation is a reduction in appetite. Lorcaserin has completed phase III clinic trials and while results have not been as promising as those for Qsiva, it does seem to have a good safety profile. Two separate phase III clinic trials (BLOOM and BLOSSOM) evaluated almost 7,200 patients in total over a 2-year period. After 1 year of treatment about two thirds of patients had lost at least 5% of their body weight. The average weight loss was between 17 and 18 pounds and patients saw their blood pressure and heart rate go down. Some patients are high responders and it clearly does not work well for everyone. Anyone who has not lost 5% of the bodyweight by week 12 should discontinue. Clinical trials are designed not only to determine if a medication works but also to make sure that it is safe for the general public to take. In trials, Lorcaserin was well tolerated by the patients who took part in the trial and few adverse events were reported when compared with the placebo group. Most side effects were reported in the first year of the two-year trials. Transient headaches were the most common side effects, with 18% of patients experiencing them, compared with 11% in the placebo group. There were also reports of upper respiratory tract infections (14.8% vs. 11.9%.) and nausea (7.5% vs. 5.4%.) These side effects appeared to be the only ones with statistical significance. No more patients reported feelings of depression, anxiety or suicidal thoughts than in the placebo group (in both groups, reports were infrequent) and the drug has good cardiovascular safety. When will Lorqess (Lorcaserin) be Available? Lorcaserin was approved in the US on 27 June 2012 but it has not yet been launched. We anticipate a US launch before the end of 2012. A launch in the EU may come hot on the heels of the US launch as the application has already been submitted. 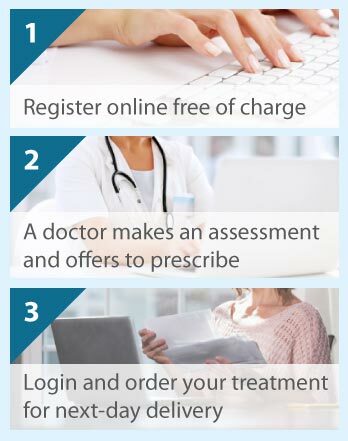 If you would like to be informed when Lorcaserin is available in the UK under prescription, please complete a weight loss consultation now and you will be added to our database.